Compass Card is marked with direction. Rotates freely and can tilt up to 18°. 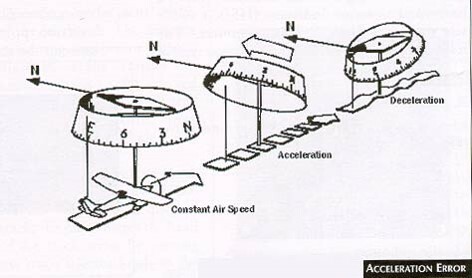 The magnetic compass is accurate only while the aircraft is flying wings-level in steady-state, non-accelerated flight. The angular distance between the true and magnetic pole. When the variation is westerly it is added to True heading to find Magnetic heading. 030 ‎° True + 10 ‎° west variation = 040 ‎° Magnetic heading. When the variation is easterly it is substracted from True heading to find Magnetic heading. 030 ‎° True – 15 ‎° west variation = 015 ‎° Magnetic heading. 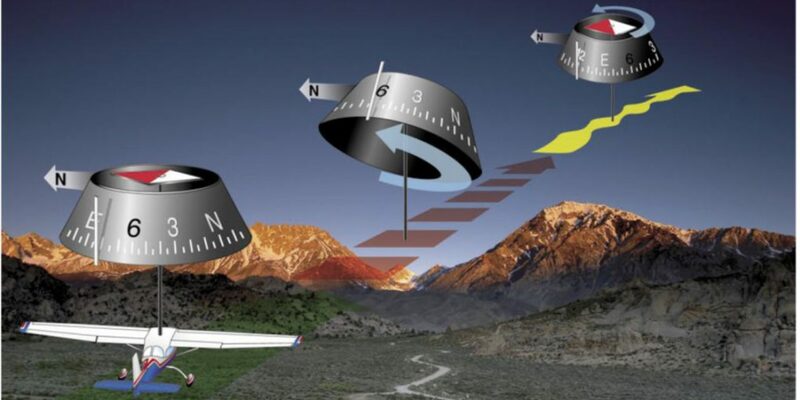 Compass deviation is deviation errors of the compass caused by the aircraft’s magnetic fields. It is checked regularly as part of aircraft maintenance. Effects of deviation are minimized by corrector magnets attached to the compass housing, while the remaining deviation errors are recorded and displayed in the cockpit on the compass deviation card. The Northerly Turning Error occurs during shallow turns through southerly and northerly headings. The compass “leads” when turning from southerly headings. The compass “lags” when turning from northerly headings. There is approximately no turning error when turning east and west headings. Acceleration/Deceleration Error occurs on easterly and westerly headings. Acceleration causes the compass to show a northerly error. Deceleration causes a southerly error. There is approximately no such error on northerly and southerly headings. What is the cause of Deviation error of the magnetic compass? What errors are magnetic compasses subject to? 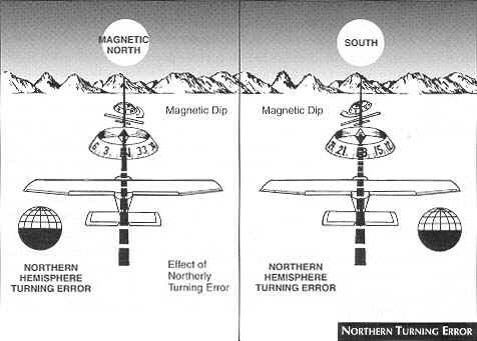 What is northerly and southerly turning error? 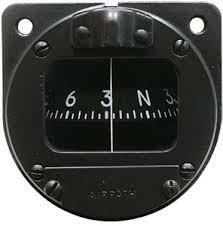 During flight, when are the indications of a magnetic compass accurate?